The journey which we have thought in our mind but couldn’t make it happen due to different things. 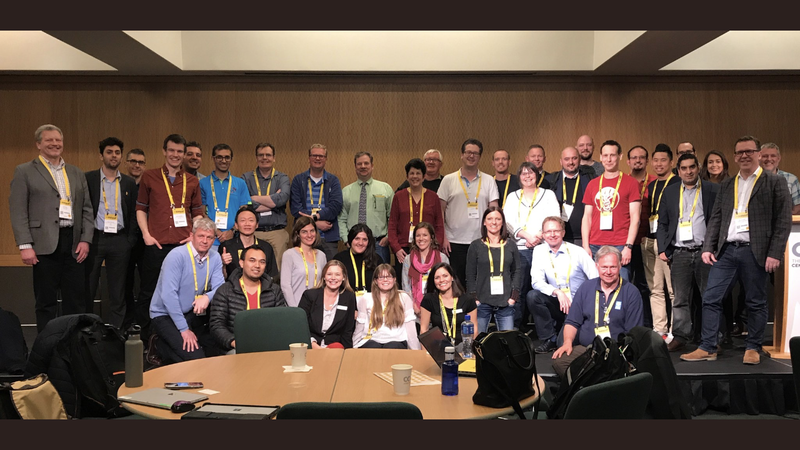 But this year I got an opportunity to represent myself, my country Nepal and overall Nepal Power BI User Group in DATA and BI Summit 2018 which was held in Dublin, Ireland on 23rd April to 26th April, 2018 at The Convention Centre Dublin. I was also appointed to be a Program Committee member for this DATA and BI Summit 2018 in Visualize Track, where we team up in group to review different abstracts from different great speakers around the world. We work really hard to finalize the content and selected the best suitable sessions for this summit with the help of Rose, Mark and mainly all the members of Program Committee. During these abstract review process I came to know different tools, techniques, process and methods related to different Microsoft Products mainly focusing PowerBI visuals. It was in deed a great opportunity and responsibility to be a Program Committee of any Summit or conference. We must thanks to all the members of Program Committee Team. I was also given an opportunity to be a speaker at this summit and I really got happy when I knew this. And then my journey begins to attend DATA & BI Summit 2018 as a Speaker from my country Nepal. This time DATA and BI Summit 2018 is held at Dublin, Ireland and getting visa from Nepal to Ireland or European Visa is difficult for developing countries like us Nepal. I don’t know why the process took nearly 1 month to get a visa from Nepal to Ireland though I finally got the visa for which I had prepared all the necessary documents and process followed as per VFS Nepal in order to get Ireland visa. Thanks again for Ireland Embassy ,India for granting me for conference visa since in Nepal there is no Ireland Embassy located here. If anyone wants to attend these types of Microsoft conference or other conference in Ireland from Nepal then you can follow below VFS links. (Also don’t depends on VFS only since my case they said visa process will take maximum 15 days but which took me nearly 1 month, luckily I had applied nearly 1 month before my conference date). Had a great experience about Ireland, people, speakers around the world, MVPs, PUG Leaders and Microsoft Families and also Nepalese brothers from my own hometown Siddhipur ,Lalitpur who helps me a lot while I was in Ireland. Really thanks to all for being so humble and helpful. Some of the snaps during my journey to DATA & BI Summit 2018, Dublin, Ireland.